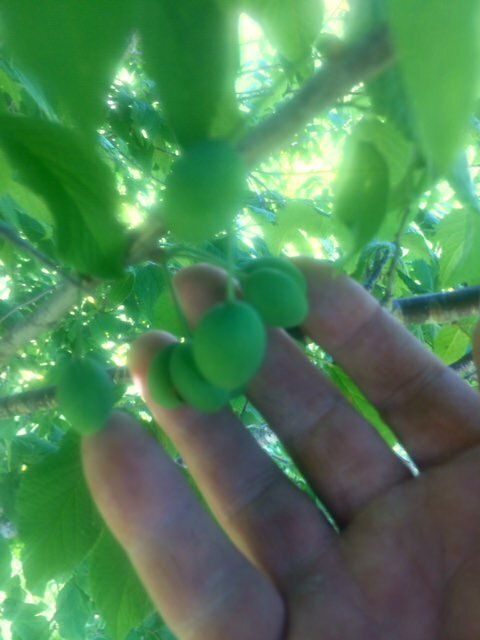 I planted a couple native plum seedlings about 5 years ago. They bloomed good this year and it looks like I may get my first fruit off of them. That is super exciting Chapman. I do love some plums! Best of luck on a good crop! 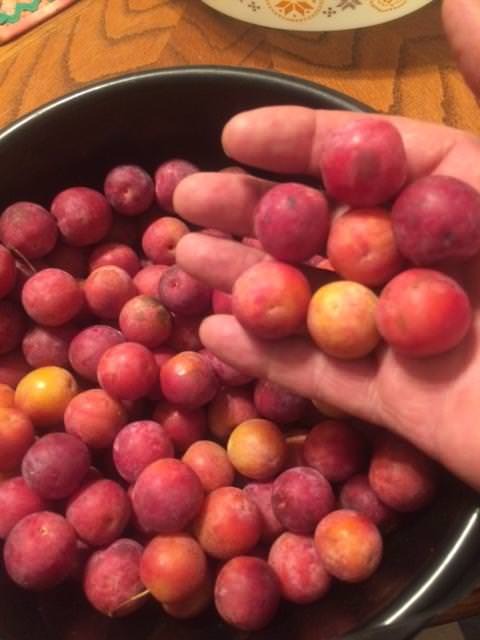 I picked my plums today, about 4 1/2 pounds. Even the real ripe ones are pretty tart. Going to try some jelly. I remember picking those along the dirt road growing up. Mmmm. According to the way I learned addition you got 5 pints. Just kidding with you. I make lots of typos. They look a lot like what we call Sugar plums but they would be candy sweet. 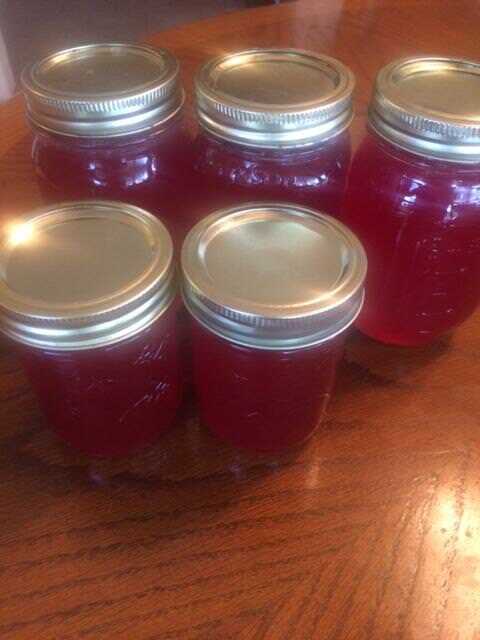 I am sure you will enjoy those jars of jelly this coming winter. Thanks Maggie. It's hard to tell but those 2 in the front are half pints. Hopefully, this year was not a fluke and they will continue to produce in the future. OOPS You were right afterall and I was wrong!